Shop this year's hottest trend. 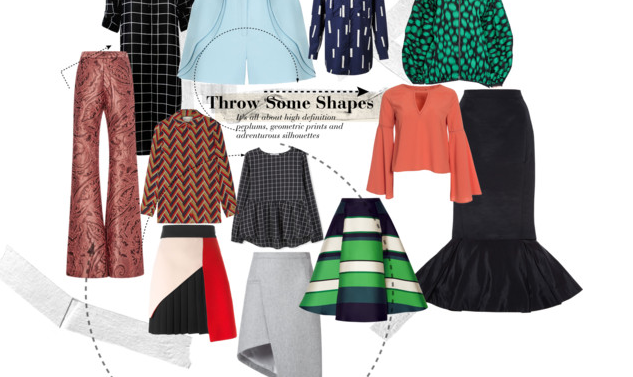 Its all about throwing some shapes into your wardrobe. Choose from high definition peplums, monochromatic and geometric prints, an assymetrical skirt or extra long bell sleeves. Don't be afraid to wear clashing prints, and block colours. Consider your silhouette and balance out your shapes. For example if you are wearing a very structural and sculptural top, keep your bottom half simple and ideally more body-hugging. Here are a few pieces you might want to consider investing in this season.